Today I’m going to share with you very effective optical media recovery software for 2019. Optical media recovery is a challenging task, especially from a severely damaged or scratched CD/DVD. However, today we have access to some of the finest optical media recovery software. 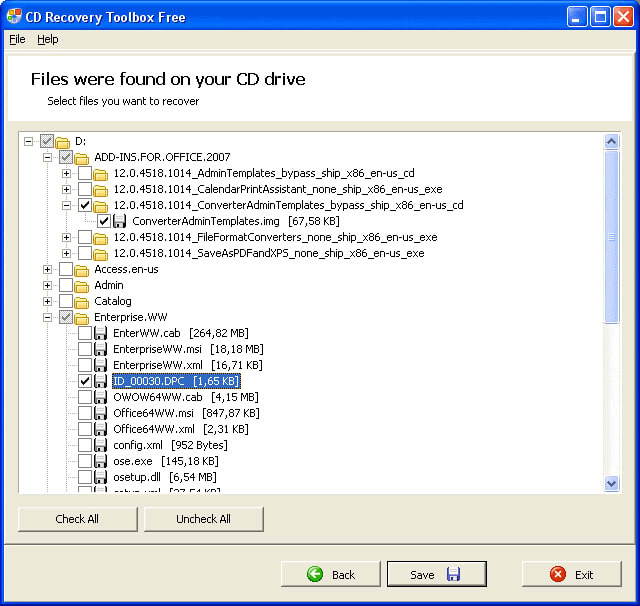 So, if you have a CD, DVD, or Blu-ray collection that got damaged and seemed beyond readable, you can still rip those unreadable CD/DVDs or Blu-ray discs with the help of recovery software. It’s one of the most reliable optical media recovery software. It can restore data from scratched, partially burnt, or corrupt optical discs such as CD, DVD, HD DVD, and Blu-ray. The software is updated to version 8.0 recently and comes with the most efficient scan engine. With Stellar Data Recovery's software, you can recover any file type from a damaged optical media and formatted or severely corrupt storage media such as HDD, SSD, USB flash drives, SD cards, etc. Choose what data the disc contains that you need to recover and click "Next." Select the optical drive containing damaged disc and click "Scan." Select the files you wish to recover and click "Recover." Choose a save location on your PC hard drive and click "Start Saving." This software is available for the macOS, Windows 10, 8.1, 8, 7, Vista, and XP. While the software is discontinued, it’s still by far one of the best DVD data recovery tools out there. The CD Check utility is built to recover, detect, and prevent damage files with particular emphasis on error detection. The software can intelligently scan and check your CD/DVD for the damaged or corrupt files and informs the user about the exact problems. The software also works with other media such as disk drives, USB keys, ZIP drives, etc. You can use the utility on Windows 10, 8.1, 8, 7, Vista, and XP. The ISO Buster is an ultimate data recovery solution that recovers data from CD/DVD/Blu-ray, hard drive, floppy, USB flash drive, SD card, etc. The software can extract unreadable data from CDR/DVDR/BD and image files such as .iso, .bin, .cue, etc. It can also extract the video files in mpg format from a VCD or SVCD. Works with Windows 10, 8.1, 8, 7, Vista, and XP. The software efficiently recovers data from various optical media such as DVD/CD/HD-DVD/Blu-ray, etc. With this software, you can restore files from optical media that seems virtually unreadable. The software scans the CD/DVD, finds the files and folders, and lists other data and information even if that can’t be recovered in integrated form. Compatible with Windows 10, 8.1, 8, 7, Vista, and XP. This is one of the most popular software to recover data from a damaged CD and DVD. The software restores the maximum recoverable data from a corrupt or scratched media. It’s completely free to use, but the software supports only CD/DVDs with a sector size of 2048; meaning Audio CD, VCD, and SVCDs are not supported by this software. Also, there has been no update since version 1.7, which was released in January 2008. Further, to use the exe and also download the additional file called ASPI.dll and place it in the same folder where .exe is located. Without ASPI.dll, the software does not work. It works well with Windows 10, 8.1, 8, 7, Vista, and XP. While no optical media recovery software can promise to bring back 100 percent data, the software we mentioned can surely bring back a lot from a damaged CD/DVD/Blu-ray, or HD-DVD. Install them and use them to recover the unreadable data from your damaged, corrupt, and scratched optical media discs with just a few clicks. We recommend ISO Buster and Stellar Data Recovery for the optical media recovery as they support a vast range of optical media and storage devices such as SSD, HDD, USB drive, SD cards, etc.